Food Costs > How Much Does Honey Cost? Honey is made up of different components of a bees’ saliva, namely, the nectar, propolis and enzymes. Honey, as you may know, is commonly used as a sweetener for drinks, sandwiches, snacks and even for baking. Honey is also known for its medicinal and nutritional qualities. Being made up of simple sugars, it is easily absorbed and used by the body. Honey can also be used in many different recipes and dishes, making it a vital ingredient to many people. Being made up of simple sugars, it is easily absorbed and used by the body. Honey can also be used in many different recipes and dishes, making it a vital ingredient to many people. The price of honey will depend on the type, quantity, brand and where you purchase it. A smaller 12-ounce container, often seen in a “teddy bear” container at the local grocery store can cost $3 to $5, whereas organic raw honey can cost $4 to $6 per 12-ounce container. If buying by the pound at a local farmers market, then the costs could be within the $3 to $6 per pound range for the raw variety. If you were to convert the pounds of honey into gallons, each gallon would equal 12 pounds. By the quart, at least according to our research, the costs could be anywhere from $15 to $30. Like any commodity, keep in mind that these costs could greatly vary depending on the demand and seasonal effects on the crops. This highly rated Amazon five-pound honey jar, for instance, retails for close to $50+. Really Raw Honey, a popular honey brand, retails for close to $14 per pound, for instance. For larger purchases, by the gallon, the costs could be closer to $25 to $35, depending on where you purchase it from. The National Honey Board lists the average wholesale prices month by month, and at the time of this writing, the average price, per pound, was in the mid $5 range for most of 2017. Again, this was the wholesale price. At Walmart, for example, a 16-ounce bottle of Walmart’s Great Value organic honey brand retails for $5. On Mothering.com, forum members talked about the costs of honey in their neck of the woods, and according to the multiple replies, the costs ranged anywhere from $15 to $25 per quart to $3.50 per pound for raw honey at a local farmers market. Honey is full of antioxidants, important enzymes, vitamins, and a rich source of other nutrients that give beneficial attributes. Honey also has medicinal properties that strengthen the immune system and energize the body. These benefits of honey have been recognized since the ancient years. There are more than 300 varieties of honey across the country, with colors ranging from a light texture, which is slightly mild in flavor, to a darker color, which can taste a bit stronger. On store shelves, you can find common varieties, which includes gluten-free, organic, kosher, natural and fat-free. You can find honey inside the same aisle as peanut butter and jelly. Honey, when sold at a local market, is sold according to whether it is prepared as raw, liquid or crystallized. Raw is exactly the literal meaning of it, which is honey that has not passed any heating or filtering processes and is taken straight from the honeycomb without any modifications. The liquid type is extracted honey from the honeycomb, and the crystallized honey results from the process of changing the honey from a liquid to a solidified form. Most of the honey available commercially available at your local grocery store, such as Walmart, has passed through heating and filtering to prevent crystallization, even when displayed for long periods of time on supermarket shelves. Store honey in an airtight container at room temperature so that it does not absorb moisture from the outside. This will help to lengthen shelf life. Colder temperatures can cause the honey to thicken, while higher temperature alters its flavor and darkens its color. 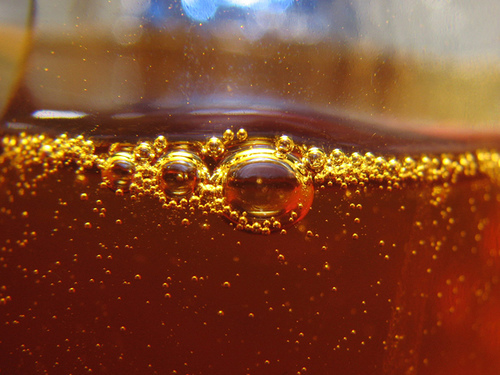 Crystallized honey can be re-liquefied by placing its container in hot water for about 15 to 20 minutes. If honey is in its liquid form, it will not stick as much to spoons and measuring cups. Buying in bulk or larger volumes can result in big savings as compared to buying in lesser quantities. Others even buy in bulk and repack and resell it to others who want smaller quantities. Remember that honey never goes bad. There are many people who decide to make their own honey. If you are interested in enough honey for yourself and your household, this can be a fairly easy process and many guides online can show you how it’s done. Once you spend the money to get things started, you can have fresh honey year-round straight from the honeycomb for no cost at all. This is not only cheaper in the long run, but it can also provide even more health benefits and can provide an enjoyable hobby as well. Making your own honey can even potentially make you money. Honey is honey, and if you don’t mind skipping the name brands, a store brand can be up to 40 percent cheaper.